The latest peace talks between the president of Colombia, Juan Manuel Santos, and the Revolutionary Armed Forces of Colombia (People’s Army, FARC-EP), a guerrilla movement, have been the center of attention in the Latin American media for weeks. Given the length of the conflict, Colombian nationals and the international observers in the region are anxious to approach and resolve some of the central issues that have perpetuated the violence plaguing the country. The General Agreement for the Termination of the Conflict and the Construction of a Stable and Lasting Peace, a six-page document issued by the Colombian government and FARC, contains basic rules and the topics that are scheduled to be discussed among the involved parties. According to this document, the matters that are subject to be examined are agrarian development policy, political participation, drug trafficking, the status of victims, and the end of the conflict itself. Representatives and leaders of the two main parties will carry out the negotiation process. 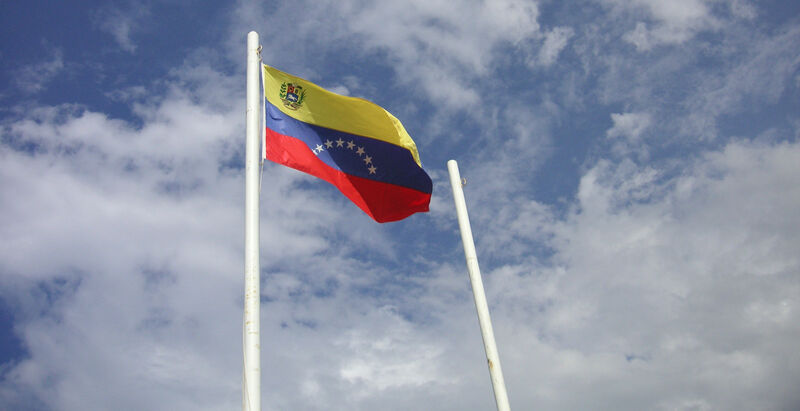 Chilean Minister of Foreign Affairs Milenko Skoknic, as well as Venezuelan ambassador to the OAS, Roy Chaderton, will also be present at the request of the Colombian government and FARC. The official hosts to these negotiations, Norway and Cuba, will play the role of facilitators and be represented by both Tone Allers, Director for Peace and Reconciliation in the Norwegian Foreign Ministry, and Carlos de Cossio, a Cuban diplomat. FARC, which was first created in 1964 as an opposition group to the rightist government, hoped to impose a communist regime in the country. According to FARC, their outlined goals are to eliminate social, political, and economic inequality, as well as to increase the pace of military intervention and encourage the promulgation of capitalism. These goals have appeared simultaneously with the group’s (largely rhetorical) desire to implement a Marxist-Leninist inspired Bolivarian state. However, after nearly 50 years of violence, often against innocent bystanders, FARC’s ideological component has all-but vanished. The first session of the peace talks opened on October 17, 2012 in Hurdal, Norway. There, the main parties facilitating the negotiations ratified the terms established in the General Agreement, binding them to an agenda that they will be bound to follow throughout the talks. They also confirmed the logistics of the second session, which will be held on November 15 in Havana, Cuba. 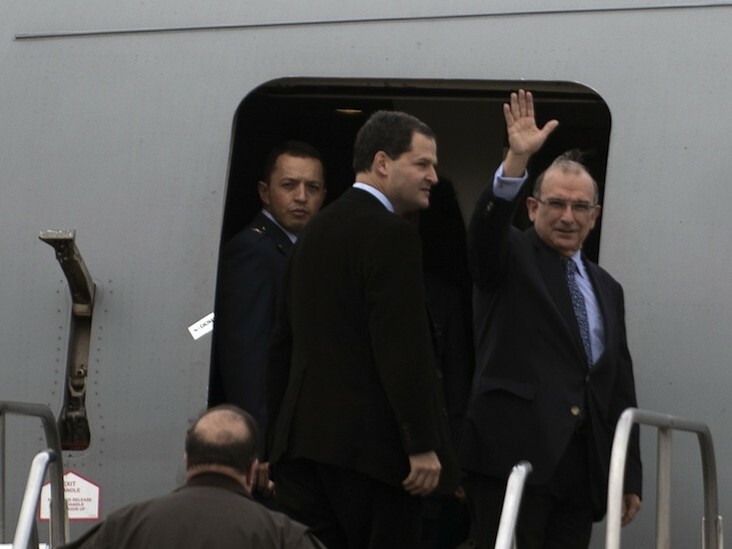 The spokesman of the Colombian delegation, Humberto de la Calle, opened the round for Colombia while Luciano Marín (also known as Iván Márquez) gave the inaugural speech for FARC. De la Calle began by expressing how the purpose of the sessions is, for both parties, to discuss in a neutral space the necessary conditions in order to bring about a resolution of the conflict. More importantly, he acknowledged their differing world and political perspectives. De la Calle also ratified the main topics that will be discussed in the coming months. 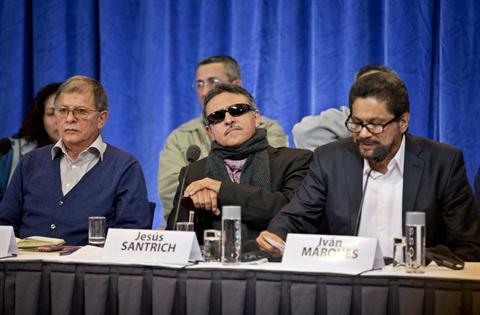 One glaring omission from the FARC’s representatives was the group’s refusal to address its status as a nexus of narcotics production, kidnapping activity, and unprecedented and reiterative attacks against civilians and communities. Márquez blamed Bogotá-backed institutions and policies for driving the conflict. In response to these allegations, de la Calle said neither the country’s economic model nor its foreign investment and defense policy are on the table during the peace dialogues. One other note from the first session, despite both representatives’ mutually expressed desire to end the conflict and reach peace, was a distinction in demeanor between the two groups. The government’s representative spoke with a calm, conciliatory attitude suggesting an openness to negotiate, while Márquez clung largely to political steadfastness. Based on the first peace talks in Hurdal, it is still unclear whether the Colombian peace process will be executed in a significant and meaningful way. 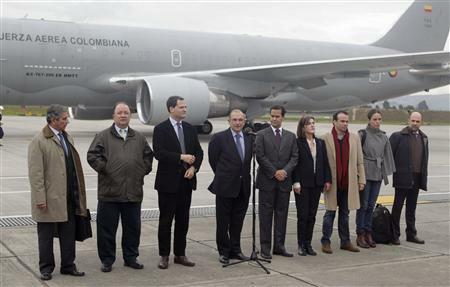 If public opinion is any indication, Bogotá faces a difficult political situation in the talks. The government will face the arduous task of simultaneously balancing interests of civil society, including victims of this conflict, and their political agenda in reaching peace; an agreement to end the conflict may not be enough. According to statistics from the Ipsos Napoleón Franco polling firm, entrusted by the Media Alliance, RCN Radio, RCN Television, La FM, and Revista Semana, 68 percent of Colombians are against any kind of official pardon for FARC leaders and members. In another statistical study from that firm, 72 percent of the population does not want to see former FARC members as candidates for any election process. Finally, 78 percent of the population wants FARC leaders to go to jail, even if peace negotiations are affected or suspended. Also entering into the picture is the compounding variable that is the presence of several political factions. One such group is led by former president Álvaro Uribe, a bitter critic of President Santos’s government, who does not favor the negotiations and has argued that it is impossible to negotiate with a guerilla group that, thus far, has not shown any real signs of ending its ongoing war against the Colombian state. This argument is reinforced by recent terrorist attacks against civil infrastructure. Uribe’s criticism and his determination to delegitimize the atmosphere that the Norwegians are anxious to establish may constitute an insurmountable obstacle to achieve peace and reconciliation in the country. Uribe bases his critiques in the previous Ipsos Napoleón Franco poll citing that 23 percent of the Colombian population does not approve of the negotiation process with FARC. A final issue that must be considered is how problematic it will be for FARC members to reintegrate into civil society. Some members, with good reason, could face death threats in the public arena, as memories of the numerous atrocities hitched against the authorities remain in public minds. The government will have the responsibility of providing security to former FARC leaders and members in order to avoid more circuitous violence in upholding the integrity of the peace process. There is one precedent that is available to the Colombian government. During the 1980s and 1990s, the Patriotic Union (UP), a leftist party known as the political arm of the guerrillas, became the target of attacks after achieving a peace agreement permitting its participation in politics. Therefore, in order to prevent a repetition of past tragic events, the negotiating parties must be keenly aware of the difficulty posed by future protection of reintegrated ex-guerillas. The failure to address all of these issues will make solutions for peace unrealistically difficult. Moreover, it is hard enough to restructure the country’s political institutions without taking into account the complex Colombian social fabric. It will not be easy for the parties to yield to the demands of one another. However, perhaps the seemingly well-intentioned goals of the FARC will at last deliver, while Colombians wait for the group to decisively relinquish weapons and to start the process of justice and reconciliation to finally bring peace.